Arilla St.Laurent, who became president on July 1, said she began volunteering at a young age. There are plenty of people she can help with her fellow Rotarians, as they complete various service projects locally and abroad. It is that volunteer service that St.Laurent said drew her to the organization that last year celebrated its 50th anniversary in Rancho Bernardo. 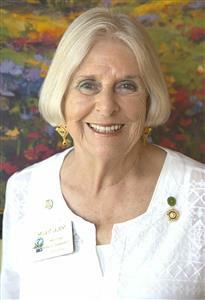 “I was invited (to join) by a Rotary member,” she said. “I had heard over the years about the work they had done, but did not know the specifics. When I began to learn about the service and volunteerism available, I liked that. St.Laurent and her husband, Chuck, moved to Rancho Bernardo in 1985 from Virginia. He was in the Navy for 23 years, retired at the rank of commander and volunteers as a docent at the USS Midway Museum and through the Veterans of Foreign Wars, she said. A few years ago she was president of the Rancho Bernardo Rotary Club Foundation and is now serving her first term as president since joining the club almost 18 years ago. Her goals include maintaining the club’s many projects begun by her predecessors, she said. These range from providing dictionaries to third graders and thesauruses to fourth graders in Poway Unified schools to helping those in rural Ecuador have access to fresh water. While the Rotarians participate in many projects overseas, St.Laurent said their primary focus is on the local community. As examples, she mentioned $12,000 in scholarships distributed this spring to seniors at Rancho Bernardo and Del Norte high schools, and various projects that focus on area youths and seniors. She said there are several incoming members who will soon be joining the club’s current membership of 63. The club’s membership campaign is ongoing. “We ... love bringing in new people, because every one of them brings in new insights and needs; new avenues of assistance,” St.Laurent said. The club meets in Bernardo Heights Country Club at noon each Thursday except for the second Thursday of each month, when the meeting is moved to 5:30 p.m. to accommodate Rotarians unable to attend the luncheon meetings. Annual dues are $250 and members are expected to donate at least $100 per year to the club’s foundation since that is how their projects are financed. There is also an $18 per meeting fee to cover meals. 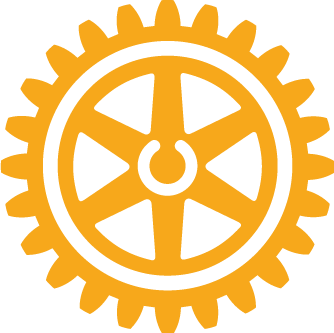 For information about the club activities, projects and membership, contact St.Laurent at rbrotary934@gmail.com or go to www.rbrotary.org.